Happy New Years from deep space! 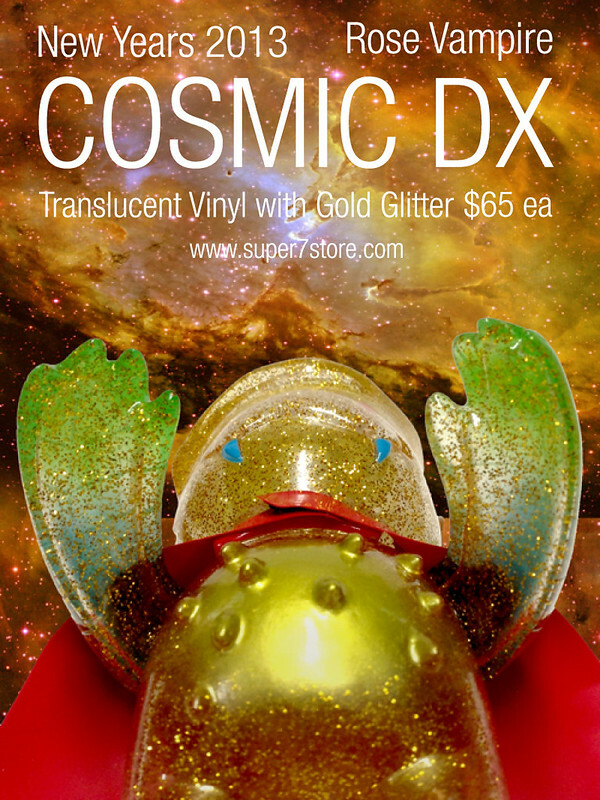 The Cosmic Rose Vampire DX travels deep into the Golden Nebula. When will he return? Where in Space will he go next? 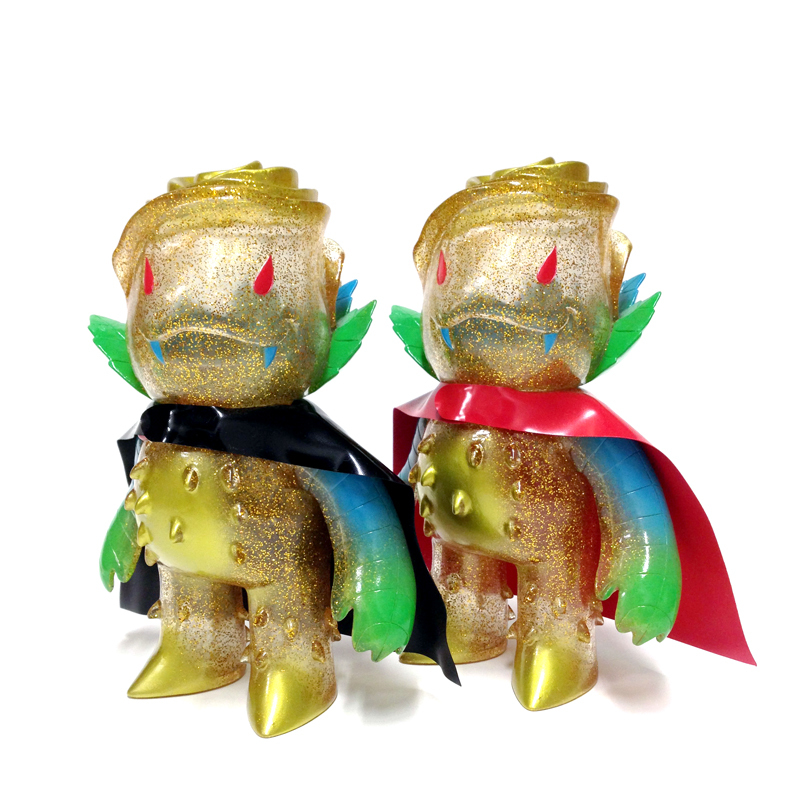 Cast in Translucent vinyl with Gold Glitter, green, blue, red and gold sprays. Comes with either Red or Black vinyl cape.